I am considering taking my 3 and 4 year old out of pre-school. I still want them to learn new things and be on the same level as other children their age. 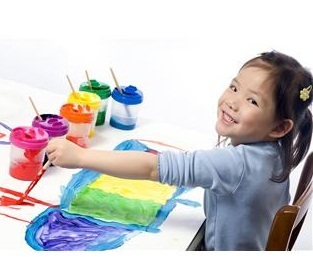 I am now investigating pre-school home schooling, but am not really sure where to start. I don't want to later on feel like I made a mistake by taking them out of "normal" pre-school. My 4 year old has really learned so much at school, but I am not happy with the amount of pressure they put on a 4 year old. Will I be able to use your program and still teach them all the things they were taught in a normal pre-school? I don't want them to struggle later on or fall behind. 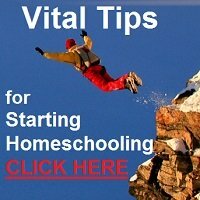 You are not in a unique situation - I think that almost every parent who contemplates homeschooling starts off where you are - wondering if it will be good for their children or whether they will be depriving their children of some learning experience that can only be found within the confines of a preschool classroom or playground. If it is any consolation, thousands of families around the world homeschool and their kids are just fine - academically, socially, emotionally, and in every other way. Many have even graduated from university and are exceptional adults! There are things that you children will just 'soak up' and learn without you even consciously teaching them when they have the freedom just to play and live their daily lives alongside you....things they probably would never have learned at school. It is a huge mindshift for most of our generation here in South Africa, as homeschooling is still relatively new and we are still a small minority of the population, considered by others to be a bit 'wierd' at times because we don't just do what every other family does and send our kids to (pre-) school. I understand that it probably seems a big decision, but the more you read and learn about homeschooling, the more informed you will be and then the more confidence you will have to make the decisions and choices you will have to make. You need to find the answers to your questions and doubts ..and also answers for all the skeptics who will challenge or question your decision. The best answer is just to say that "We've decided that this is the best option for OUR FAMILY." Anyway, ABC Fun & 1-2-3 is a preschool programme I would recommend for you to begin with as it is aimed at ages 3-6 years and is gentle and age-appropriate. After that I would encourage you to move on to the Little Footprints - South Africa in Stories package which is aimed at ages 4-8 years. You can read more about each one on the links provided. 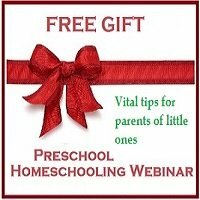 You will see how much there is for your preschoolers to discover at home, without much effort from you...and the things they can learn at home with you that they would miss out on if they were at school. If you decide to homeschool, get one thing right from the start: Don't fall into the trap of comparing your homeschooling with a preschool classroom experience. They are two completely different scenarios and although there may be some overlap, homeschool should not be the same as preschool!